Call it a sweep, readers. Bring out the brooms, unveil the dusters, and let’s celebrate. The UAA just got served. The Maroons went undefeated at the second UAA Round Robin of the season this weekend. The shining moment: a thrilling, come-from-behind victory over top-ranked Wash U (24–2, 6–1). With the weekend sweep, the South Siders (20–6, 6–1) jumped from a tie for third to a tie for first in their conference. That’s good news, as Round Robin performance helps determine seeding for the UAA Championship. Chicago led off Saturday with a match against the Bears. Not having won a match against the two other strongholds of the conference, Wash U and Emory (22–4, 6–1), in two years, the Maroons saw their weekend in Pittsburgh as a chance to prove they deserve their then-ninth national ranking. Already trailing two sets to one in the first match, the South Siders found themselves down by a significant margin in game four, on the verge of another defeat at the hands of the Bears. 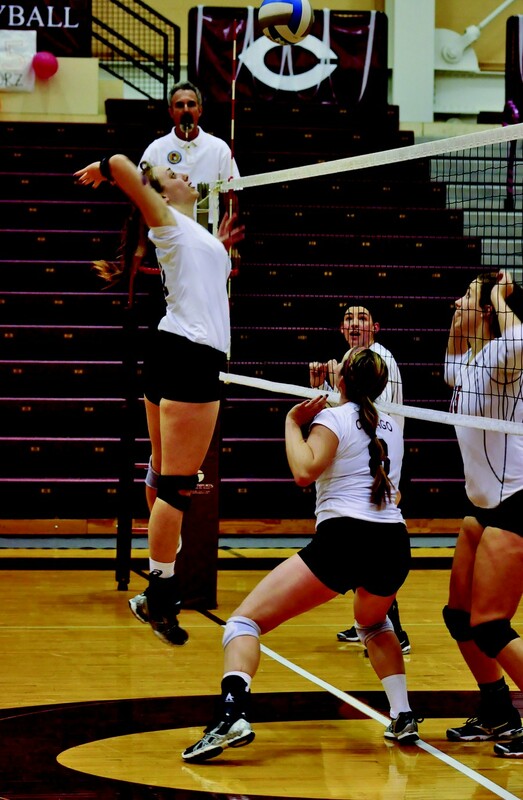 Then third-year outside hitter Morgan Clark went diving into the stands to save a point. That effort changed the momentum of the match. Maintaining their composure, the Maroons pushed forward to victory. They captured the victory in five long, grueling sets: 25–22, 23–25, 14–25, 28–26, 15–12. Chicago was less aggressive at the net—attacking fewer times than Wash U—and so it was the team’s defense that saved the day. Besides the victory over the Bears, Chicago defeated three other UAA teams over the weekend: Brandeis, 3–0; Rochester, 3–0; and Case Western, 3–1. That’s called dominance. Next up, the squad takes on Dominican in River Forest, Illinois. The Maroons have lost only two games on the road this season, and look to continue their winning streak against the Stars. It all starts tomorrow evening at 7 p.m.